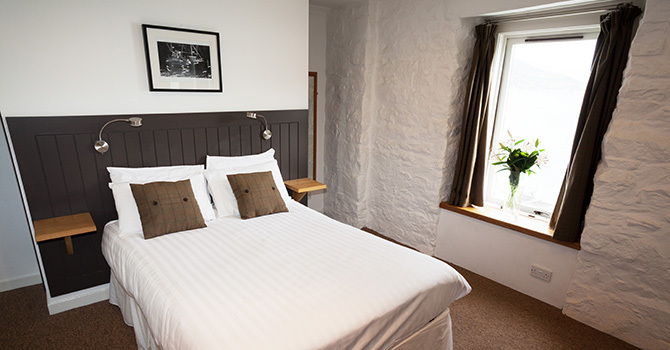 If you’re looking for a place to rest your head after a tiring days touring the Highlands, or needing a base whilst doing business on the West Coast, then look no further than The Arch Inn, Ullapool. 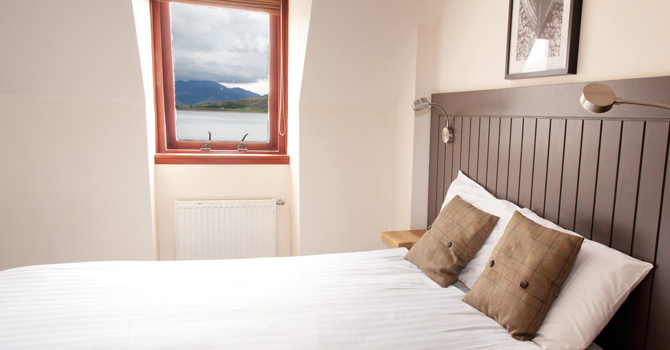 We have ten comfortable en suite single, twin, double and family rooms, most of which enjoy fabulous views over Loch Broom and the Fannich Mountains in the distance! 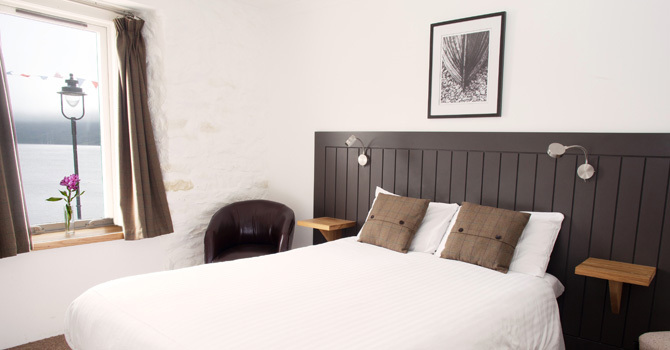 All rooms have free WiFi, flat screen TV, tea and coffee making facilities and off street parking. Please note that we do not allow pets in the bedrooms at The Arch. 12th January 2017 to 1st January 2018 – Single rooms from £50; Double rooms from £80; Twin rooms from £90. 2nd January 2018 to 1st January 2019 – Single rooms from £55; Double rooms from £85; Twin rooms from £95. All rates are per night, bed and breakfast and include VAT. Rooms are not available on 24th & 25th December. We operate a three night minimum stay for check ins on 31st December with a continental breakfast being served on the morning of January 1st. For stays of a week or more whether in the area visiting or working, please call us on 01854 612454. @JeffReines @TheCeilidhPlace Thanks Jeff, and apologies for nobody getting back to you: hope you enjoyed your visit!